Mr October's postmarked and stamped signed ball honoring his hitting three consecutive homeruns off three first pitches thrown by three different pitchers in a World Series game. Yankees won their 21st championship with Reggie hitting a total of 5 homeruns. 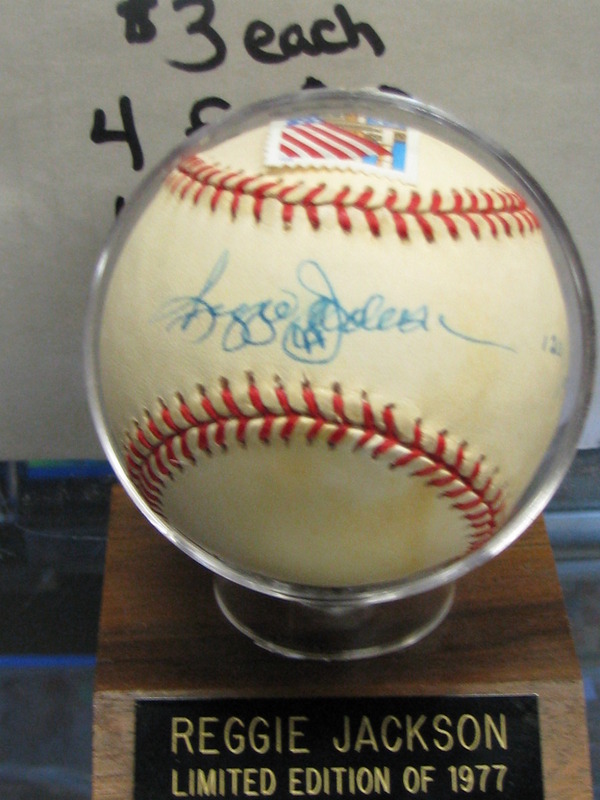 Reggie Jackson autographed baseball postmarked and stamped October 18, 1997 the day Mr October hit 3 consecutive World Series Homeruns.Ball is hand numbered 120/1977. All items are deemed authentic with a LIFETIME MONEY BACK GUARANTEE on the FULL PURCHASE PRICE. Item was authenticated by Scoreboard and was distributed by QVC honoring the Babe Ruth record tying accomplishment.